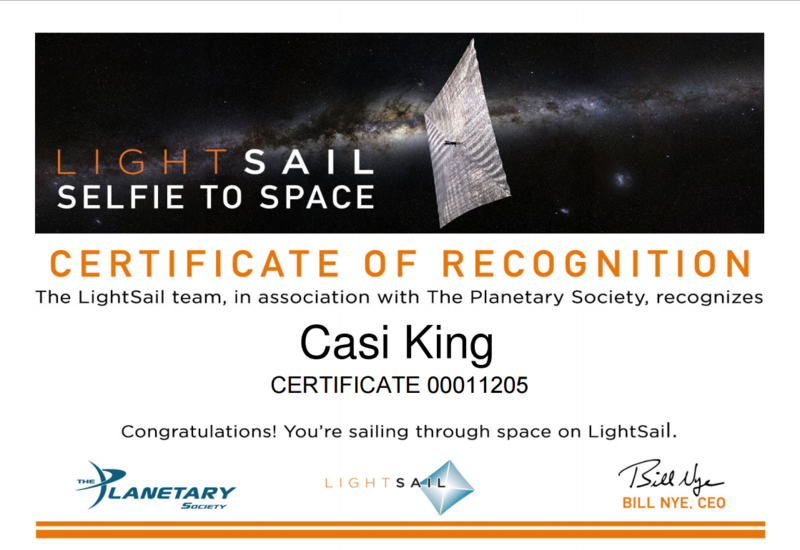 My name will be on a microchip that will fly aboard NASA's Mars mission, InSight, scheduled for launch March 2016! The InSight lander will listen to the heartbeat of Mars to find out how the rocky planets formed. How cool!